When India tested the nuclear weapons in Pokhran-II, the only country that congratulated us was France, when everyone else condemned it. Did any student of India’s Physics departments walk across the campus and ask the History Departments in their Universities what was unique about the French view on India? Did the Head of the Departments of Physics ponder on the question and issue instructions to Physics students going abroad for higher studies to go to France instead of all students going to English-speaking America? If no, they have failed in their administrative duty as Heads of the Indian Physics departments and have not guided the students and faculty properly. Students at the IIT are too young — you say? We shall remind our reader that the modal age of Scientists on the Manhattan Project was a mere 24 years, by which age they already knew what their country was, why and whom they were fighting with and how best they could serve their country. Did any History Professor ask and answer this same question? If no, they are not fit to be Professors of History. Did any Political Science Professor ask and answer this same question? If no, they are not fit to be Professors of Political Science. If the Directors of the IITs were told that the IITs are producing highly trained slaves for the Anglo-Saxon lobby, would they be able to debate this matter? Other than knowing that ”Anglo-Saxon” has something to do with a Germanic invasion of England in some past time, would they know anything else in this regard. 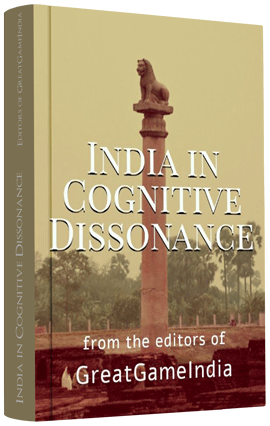 If they Directors of the IITs were asked a simple question: ” Is or is not the Indian Scientific Establishment in Anglo-Saxon orbit, and if so (a) should you and (b) how will you pull it out?” Will even a single IIT-Director be able to debate this matter? If no, the Directors of the IITs had better sit down to their studies and take some courses in History and Political Science. The yield of the first French nuclear fission test conducted in the year 1960 was 65 KT. Decades after this, the yield of India’s nuclear fusion test (which should be several hundreds of times more than a fission test), was less than this figure. This is information obtainable in the public domain…no profound nuclear-weapon calibration secrets here. What??? Our nuclear fusion-yield is less than their fission-yield – that too of a test they did decades ago? Did anyone of India’s investigative reporters splashing this news on the cover pages, stand up and tell our government and our ecstasy-induced euphoric dancing public that a Fusion Weapon capability should be tested and demonstrated in the Mega-ton range, not the Kilo-Ton range? Did anyone of our defense analysts point this simple fact out to our government and tell our Government to conduct the tests in the Mega-Ton range? That the Chinese (for example) have tested the nuclear weapon in multiple battle-scenarios, including 47 tests using air-drop, parachuting, missile-mated, tower-based and atmospheric in addition to the mere underground testing done by India? That this underground nuclear weapon testing at such low yield is pathetically inadequate for our National Security? We may be able to launch a ballistic missile, but has the nuclear-weapon warhead been tested in missile-mated configuration or in air-dropped configuration? If no, they are not fit to be Defense Analysts or Investigative Journalists. We might hear that nuclear weapon testing can be simulated on computers using some critical information which is slightly hard, but not impossible to obtain. 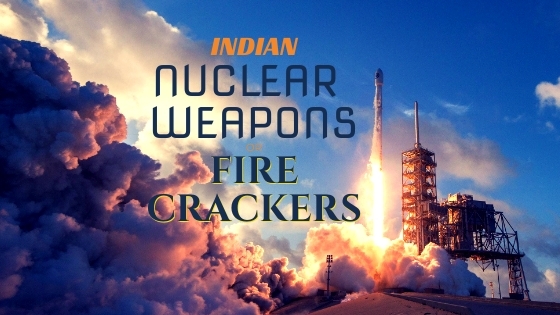 Did any member of our Indian Public or Defense Chiefs of Staffs (who may have been fortunate enough to hear of this), ask the question: “Can the Nation be plunged into nuclear war on the basis of nuclear-weapon configurations tested only in Computer Simulations?” If no, they are not fit to be Defense Chiefs of Staff and the “educated” Indian Public who have blindly trusted them, but did not take the responsibility to ask this same question as a duty to the simpler-folk of our society, might as well be vaporized via nuclear war. About 8 years ago, the Indian National Security Advisor had publicly called a leading core member of the Indian nuclear weapon program a LIAR. Did not India’s Scientific Establishment have a duty to go on Strike when the head of their own establishment is called thus? Or, if the accusation were in-fact true, did the Establishment consider closing down? Please may we bring to the notice of the Indian public that the claims made by our Nuclear-Weapon Establishment could potentially be as fraudulent as the claims made by the other establishments. It is your duty to verify the claims by third parties. This is the basis of “Participatory Democracy”.. a theory which is well-credited to Muammar Gaddafi of Libya. Please may we tell you that while Indian reports stated that the yield of the first test in Pokhran-1 was about 8-10 Kt, it is heard from credible sources inside the American establishment, it is actually closer to only 2Kt. India had better make up its mind on a choice: either give up nuclear weapons completely (and change the three Lions to three Pussycats) OR Ensure that the scientists can Test the Nuclear weapons Publicly and Properly in all required configurations. If you decided on the second path, please make sure that your Scientists can go to the test site in full dignity as Scientists, not carried there hidden in disguise. Does the reader of this article realize by now that by following the British Pied-Piper there is a real possibility of being pushed into nuclear war—for which we are woefully and hopelessly un-prepared? If no, you are not fit to read this article — stop right here. Previous Section 5 Indians: Donkeys or Rats or Thieves of Carla Hills? Fingerprint the thieves!